I had good food news and some not so good food news today. First, the good news. God love the owner of our local “health food” store, Sage Meadow. Because of Pat, there is tahini in Podunkville! I can make this hummus recipe this weekend rather than wait until after Tuesday when I hitch up the wagon and travel 90 minutes to Trader Joe’s and Whole Foods for provisions. 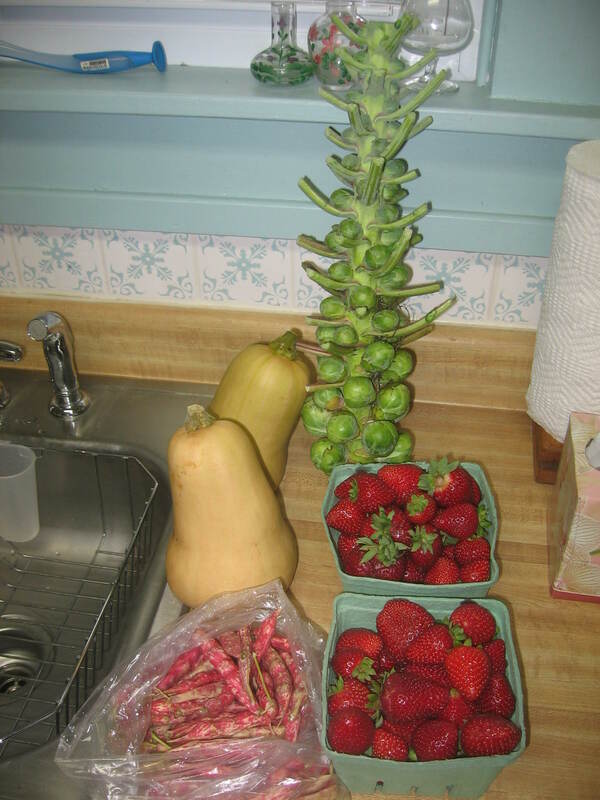 More good news, we haven’t had a freeze yet which means the local farmer who raised a field of late summer/early fall strawberries is still at the market. These are better than the early summer strawberries by far. I call them god’s apology for such a cold and rainy summer. 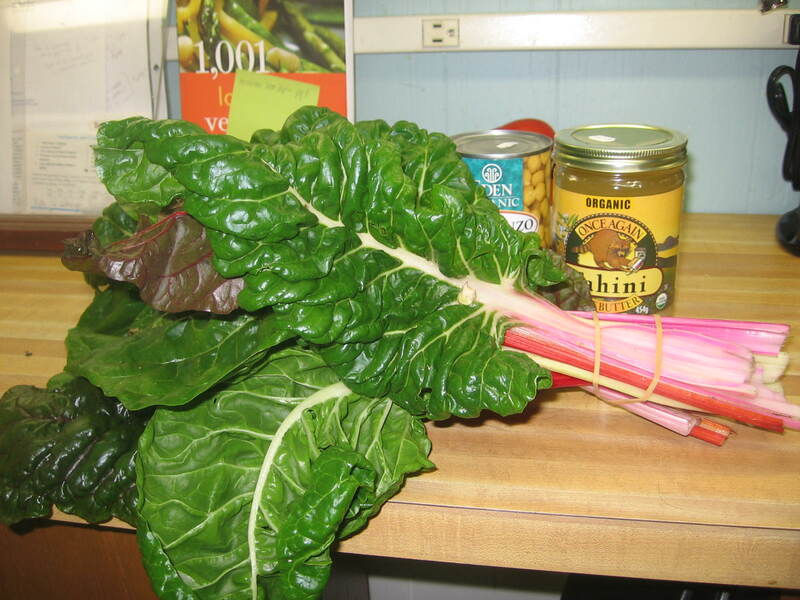 The Swiss chard was lovely and I couldn’t resist. So were the brussels sprouts. I also picked up some old-fashioned cranberry-type beans. Aren’t they pretty? The farmer I bought them from said to cook them like a butter bean. Okey dokey. I’ll find a recipe and check them out. The not so good news is that the Wal-Mart here in Podunkville discontinued yet another one of my favorite foods. And unlike Greek yogurt (I protested) and garlic cloves (I protested again. How can a “grocery” store not sell garlic cloves? 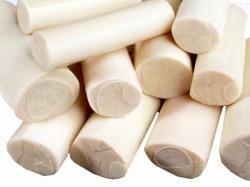 ), my beloved hearts of palm won’t be back. She paged the Wizards of Wal-Mart – the decision makers they keep hidden behind the doors all around the building – and found out that yes, hearts of palm had been discontinued. Crap. “Thank you so much for checking,” I said and I pushed my cart slowly away. I told him no, hearts of palm are not exclusively for vegetarians and are very good on salads. He looked perplexed, but let me go. I left the canned vegetable aisle and walked toward the freezer section. A few seconds later, Jess walked up behind me and said, “Look what I found in our discontinued section!” In her hand were two cans of hearts of palm. Eureka! “Are there more?” I asked. Yes, she said. Four more cans. Whoohoo! And they were marked down to $2 each. Bonus. I got six cans of hearts of palm for $12. To quote The Who, “I call that a bargain.” Maybe not “the best I ever had,” but close. I heart hearts of palm. I’d never heard of them until my friend Heather in Chicago tossed them on a salad she’d made for us last year. I fell in love. Now every time I slice one up and throw it on my salad (which is almost every day), I think of Heather. Do any of you have people/food associations like that? Come to think of it, when I shave my legs I think of my junior high choir director. I have no idea why. It’s not sexual or anything, just an odd association. See how my mind wanders? It’s a wonder I get anything done sometimes. Anyway…When I followed Jess back to the “discontinued items” section, the guy I’d originally talked to about the hearts of palm was close behind. “So, do they taste like anything ‘normal’?” he asked. I felt like an evangelical preacher reaching out to a lost soul looking for salvation. I could have a hearts of palm convert on my hands, right there in Podunk Wal-Mart! I was a little nervous. How do I describe them well yet vaguely enough to get him to try them? “Do you like canned marinated artichoke hearts?” I asked. “No, that’s OK,” he said. Dammmit. I lost him. Either he didn’t want to make the $2 investment or he was being a good Wal-Mart employee by not taking anything away from the customer. I’m new at this conversion thing, but I realize I should have gone back to see him after paying for my groceries and slipped him a can of hearts of palm. In the meantime, I’ve got some hummus to make. And Swiss chard soup. And chili. And pickled beets. Yup. I said pickled beets. I’ll let you know how that goes. This entry was posted in Uncategorized on September 26, 2009 by Lynn Haraldson.